Happy Aussie-versary! (Any excuse for a party! )....and a giveaway! which means another Angel has 2 Left feet - oooops! Aussie want as many people as possible to join in their celebrations (the more party people the better, right??) 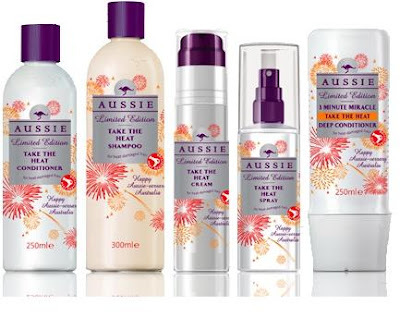 So they are kindly offering SEVEN of my lucky followers - who have never tried Aussie before - the chance to receive their very own Summer Party Pack including a product of their choice from any of the Aussie-versary Limited Edition Ranges! What are you celebrating this season? (it can be anything big or little - any excuse, remember?) Tell me what you are celebrating by either blogging about it (don't forget to link me up to the blog post!) or simply commenting below - I shall then pick the best 7 entries! Wait....that's not all....the 7 lucky winners will have the opportunity to take part in a challenge, with the chance of one person winning 10 tickets for themselves and 9 of their friends or followers to the HUGE Summer Party in October held in London! This will be Aussie's biggest, most exclusive party yet - one NOT to be missed!! So who wants to join me at the P-A-R-T-Y ??! 3. The deadline to enter the giveaway is midnight Friday 19 August (UK time) and I shall pick the 7 winners on Tuesday 23rd August. I'm celebrating my big sister and my nephew coming to visit me, as I haven't seen them in months! I'm celebrating my 3rd smoke free day today... hopefully I'll have kicked the habit for good now, if I can do 3 days surely I can do it for the rest of my life!! It's so hard but I'm determined! I'm celebrating the birth of my second child and that my husband and I will be able to have a day off from the children on Monday 29th of August to go shopping! In the last month I've celebrated a friend's wedding, my birthday, Danish friends visiting, my OH's birthday, German friends visiting, my OH's birthday party, my OH's band playing their 1st gig, another friend's birthday, American friends visiting, my wedding anniversary and my eldest son moving back in... so pass me the wine because I need to celebrate that me and my liver have survived!!! I will hopefully be celebrating the end of my final edit of my debut novel Gunshot Glitter. It's been a LOOOOOOOOOONG journey, years in fact, and then it's onto the scary part of publishing it. But that is a huge reason to be proud and happy. Please keep your fingers crossed for me! 2. I'm celebrating 8 years with my boyfriend! I'm a follower! the email's bookgeeksrule AT gmail DOT com and I am celebrating fearlessnes! I had been thinking about getting the second hole piercing in my ear for a while now but I've always chickened out! This month I finally did it and I LOVE them! Take the heat is my fave aussie range! my GFC: coming up as ⚓☮♡ for some reason!! I am celebrating my 50th birthday last month and looking forward to the next 50 years! Following here and on Twitter (@morrighani). This summer I am celebrating having elbows by handing out tins of sardines to strangers and doing a forward roll every time I hear the word "jellyfish". Good times. im celebrating my 4 year anniversary with my lovely bf! 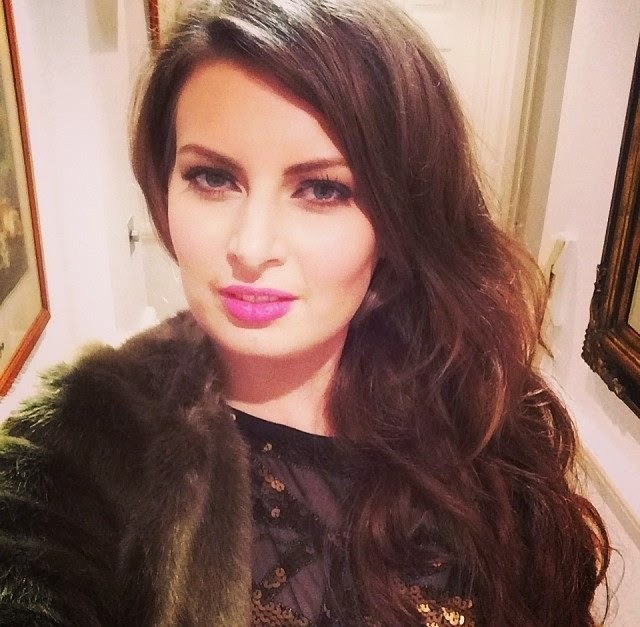 Already following via GFC (Rachel Collins) and on Twitter: Rachel1383 - and RTing as much as I can!